Setting reading goals to help make the best use of our new found reading time. But I Have More On Reading! Yes, reading is such a big time issue in my life that I've thought about it and written about it here before, including some posts in 2012 on Pierre Broyard's How To Talk About Books You Haven't Read and how his thinking can help readers manage time. What follows is an annotated bibliography of my reading posts with links. Forget About Reading Every Word. Skimming and reading articles about books when you can't get to the books, themselves. An Example Of Skimming. Picking out what interests you in an essay. Be More Discriminating About Reading. Early thoughts on how to decide what kinds of reading to cut back on. More Time For Reading. This deals with reading tips from one of those articles with numbers in the title that I'm cutting back on reading now. But I wasn't then. 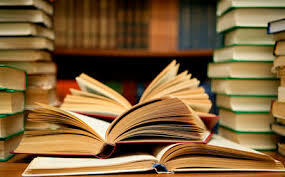 Reading all this information could help you better manage your massive amounts of reading. However, if you've been following my TMT posts the last couple of weeks, you'll be aware that not reading it could also help you with your reading time. Gotta love a win-win situation.